1.) Up for an adventure? Take your special someone through the rainforest and under the sea at the Tennessee Aquarium. From penguins and butterflies to alligators and otters, the aquarium has it all for animal lovers. Take a VIP Backstage tour for an up-close experience with the animals and exclusive encounters that you won&apos;t see on a normal visit. While you’re there, be sure to fall in love with the furry faced Red-ruffed and Ring-tailed Lemurs. See them in action as they climb up, down and around their lush rainforest setting under the aquarium&apos;s peaks. 2.) 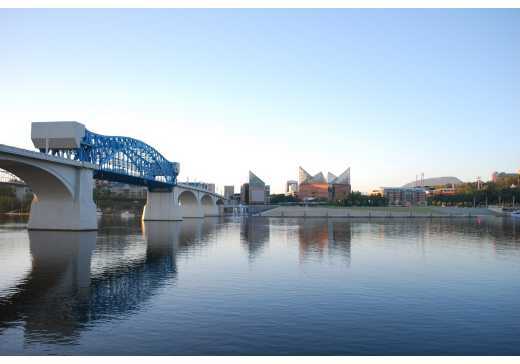 Want to see Chattanooga in a new way? Take a ride on Pints & Pedals, the 15-passenger, completely man-powered bicycle that takes you to some of the best spots in town. A typical tour will take passengers to 3-5 local bars for food and drinks, giving you a chance to enjoy Chattanooga&apos;s unique culinary and craft brewery scene. 3.) In the mood for fine dining? Put on your best and make a reservation for Chattanooga’s upscale establishments at Bridgeman&apos;s Chophouse, Alleia, Hennen’s or Easy Bistro. If you want to stay more casual, try the Flying Squirrel, Urban Stack, Hi-Fi Clyde&apos;s or Terminal Brewhouse. 4.) The river more your style? Take a romantic dinner cruise down the Tennessee River aboard the Southern Belle Riverboat. Enjoy the scenic views of the Riverfront and Northshore as you relax on this 2-hour excursion. 5.) Don’t feel like you have your sea legs yet? No problem, just rent two bicycles from the Chattanooga Bike Share and cruise around downtown. Between the 41 stations around town, there are 340 bikes to choose from. If you’re in the mood for a picnic, head over to Coolidge Park and spread out a blanket. 6.) Want to rock out to a great concert? Looking for a more intimate music experience? Check out one of the Songbirds stages for great live music in a unique space. If you&apos;re hungry, try the fresh oysters or order a cocktail and be dazzled by the eight types of handcrafted artisanal ice at STIR. If you&apos;re in the mood to laugh, explore the Comedy Catch. The best part? All three (and more) are conveniently located on the compounds of the Chattanooga Choo Choo Hotel. 7.) Feeling a bit more classy? The Chattanooga Symphony and Opera (October-April) plays regularly at the historic Tivoli Theatre and makes for a nice, romantic evening out. Built in 1921, the Tivoli’s high-domed ceilings, grand lobby, crystal chandeliers, and elegant foyer are designed to transport patrons to a world of richness and splendor. 8.) Do you love exploring new art? Check out the Hunter Museum of American Art for pieces that span the history of American art from the colonial period to the present day. After working up an appetite at the museum, head over to the Bluff View Art District to Tony’s Pasta Shop or the Back Inn Café for an excellent dinner to close out the evening. Need a place to stay? Book your romantic getaway package at one of Chattanooga’s B&B’s or hotels, here.